WE’VE FEATURED several of VAGtech’s modified cars in the past. As a long-time enthusiast of all of the Volkswagen Group’s products, VAGtech MD Jon Watts has always been keen to mix business with pleasure and he’s in the fortunate position to be able to modify the cars he owns. He certainly knows what to look for and what parts are best for the job. Jon recalls ‘My passion for Volkswagen Group products started at a young age, as one of my brothers owned a Beetle. As the youngest of four, I was taken to the early GTI International events and other VW shows, and I distinctly recall travelling with my brother in his Beetle. ‘So, my first VW had to be a Golf, and a 1992 Mk 2 GTI 8V was just the first of a long line of Golfs including the Mk 4 R32, which has to be one of my favourites. The R32 was the first car I had owned that was really powerful, with the 400 bhp HGP turbo conversion. ‘I then bought my first Audi, a Series 1 TT 3.2 V6 with the DSG gearbox, which also got the HGP turbo treatment, turning an already very impressive sports car into a real supercar. Its performance and handling was on a par with Porsches and Ferraris. 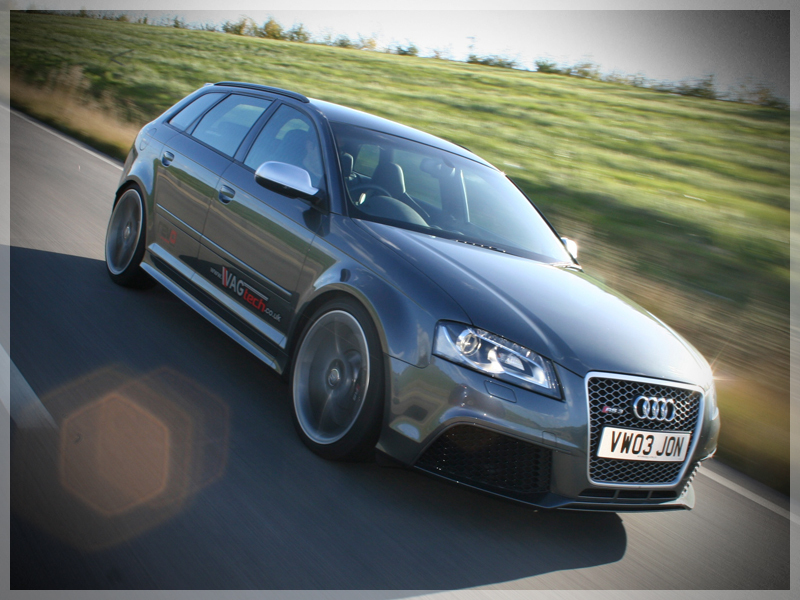 They say that once you have owned an Audi there’s no going back, and there’s certainly something about the build quality, the feel and the fit and finish, that you can’t quite put your finger on… ‘So, my second Audi was a B5 RS4 Avant. An iconic car in its own right, I had always dreamed of owning one, and I knew all the pitfalls, having worked on many by then. 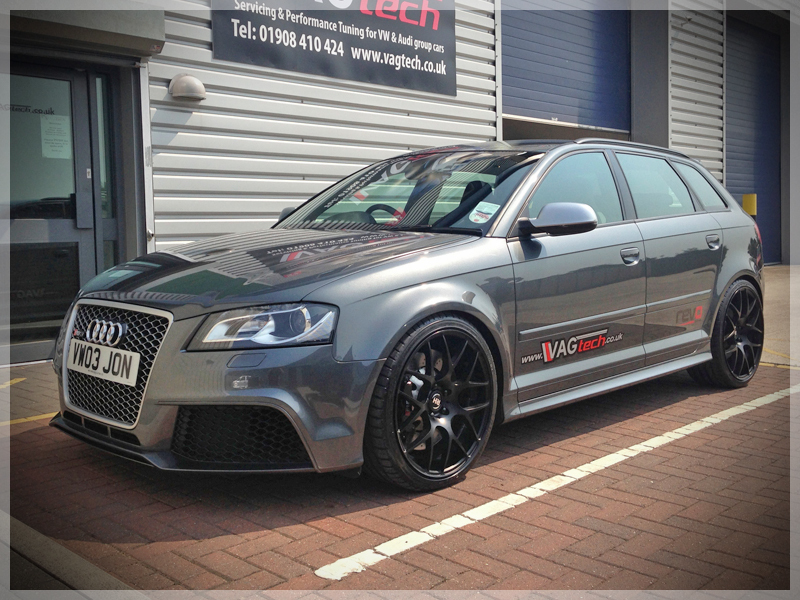 In Avus silver, with full service history, re-mapped to 430 bhp, with a Milltek exhaust, Bilstein PSS9 coilover suspension kit, H&R anti-roll bars, and uprated with B7 RS4 brakes, it was an absolutely stunning example. It’s one of the best cars I have owned, but it had to be sold to fund my wedding, the idea being to free up some cash and buy a new car on finance. ‘The question was what to buy instead. Within the budget available, I was limited on choice, but I started off looking at the Golf R, and even placed a deposit on one. I then decided to wait, and I’m glad I did because the promise of an Audi with the turbocharged 5-cylinder engine looked too good to pass up. Having worked on the original quattros, as well as the S2 and RS2, I knew that the engine would be very good. It was just a question of which car to go for and what I could stretch my budget to.